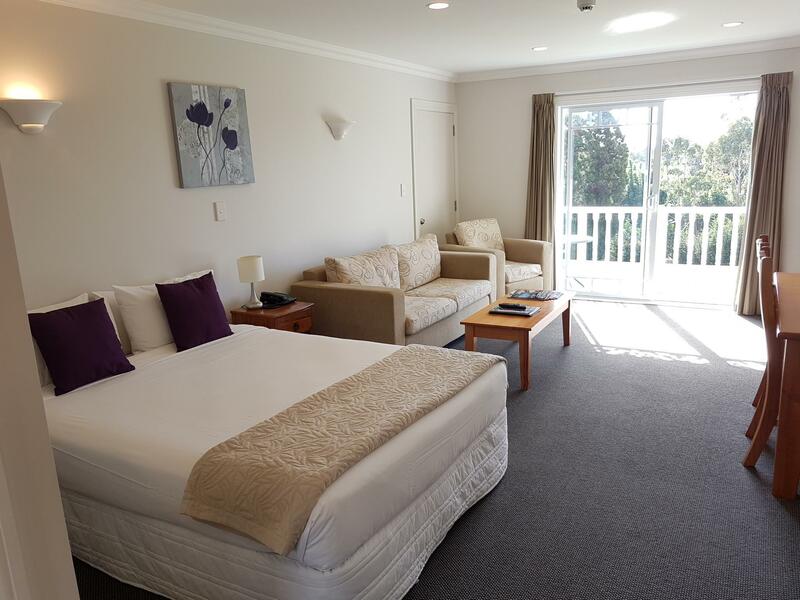 يقع فندق Kerikeri Park Motel، المصمم ليناسب كل الضيوف سواء كانوا من رجال الأعمال أو السياح، في مكان ممتاز في أحد أكثر المناطق تفضيلاً في Kerikeri. يجذب هذا الفندق ذو 4.5 نجوم، والذي يبعد 2.0 km فقط عن وسط المدينة و 3.0km عن المطار، الكثير من الزوار سنوياً. يضفي محيط الفندق اللطيف وقربه من The Kauri Workshop, Makana Confections, The Old Packhouse Market سحراً خاصاً على هذا الفندق. إن الخدمات التي يقدمها Kerikeri Park Motel تضمن للنزلاء إقامة مريحة. تتضمن الميزات الرئيسية في هذا الفندق: واي فاي مجاني في جميع الغرف, مرافق مخصصة لذوي الاحتياجات الخاصة, صف السيارات, التوصيل من وإلى المطار, رعاية أطفال. في الفندق غرف نوم يتجاوز عددها 20، كلها مجهزة بعناية وجمال وبعضها مزود بـ تلفزيون بشاشة مسطحة, اتصال لاسلكي بالإنترنت, اتصال لاسلكي بشبكة الإنترنت (مجاني), حوض الاسترخاء, غرف لغير المدخنين. يمكنك طلب اللائحة الكاملة للخدمات في الفندق ومن بينها حديقة. 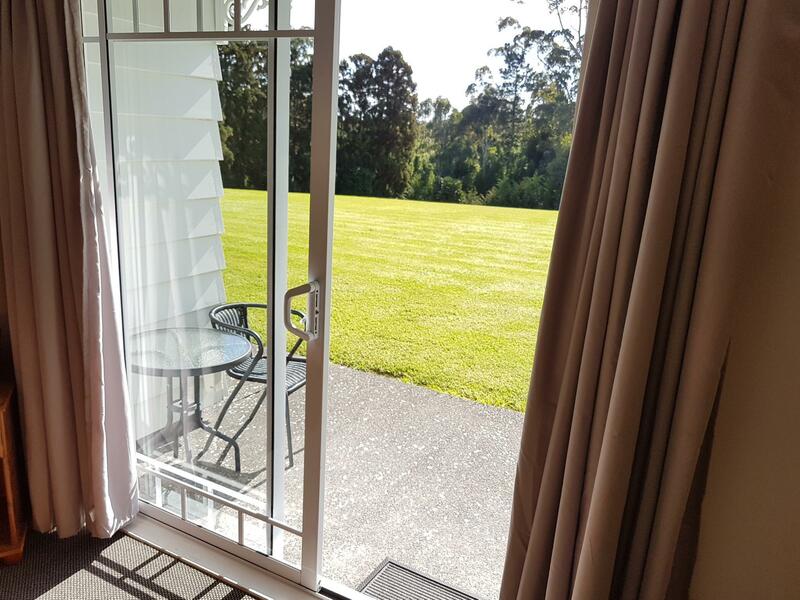 يحظى فندق Kerikeri Park Motel بموقع ممتاز وخدمات يصعب منافستها. Stayed 2 nights in upstairs deluxe studio. Modern clean furnishings with extra room for a proper table, kitchen and sofa. You need a car to get food or dine out. Not the most inexpensive but still reasonable. Friendly staff. Very friendly staff, prepared to "go the extra mile" to help. Absolutely spotless, if no transport, can't walk to eating places, however staff ask if you need a lift which is great. All good, had to have transport to go out to eat. Friendly staff. Wonderful room - beautiful & clean. Kitchenette had everything we needed. Large bath tub was heavenly. Lovely view. Very quiet. It was a shame we couldn't stay another night. A nice clean place to stay. Friendly staff. The location was lovely, very quiet and peaceful but only a few minutes drive to everything. The staff were extremely helpful and friendly and went out of their way to give us some information about places to visit. 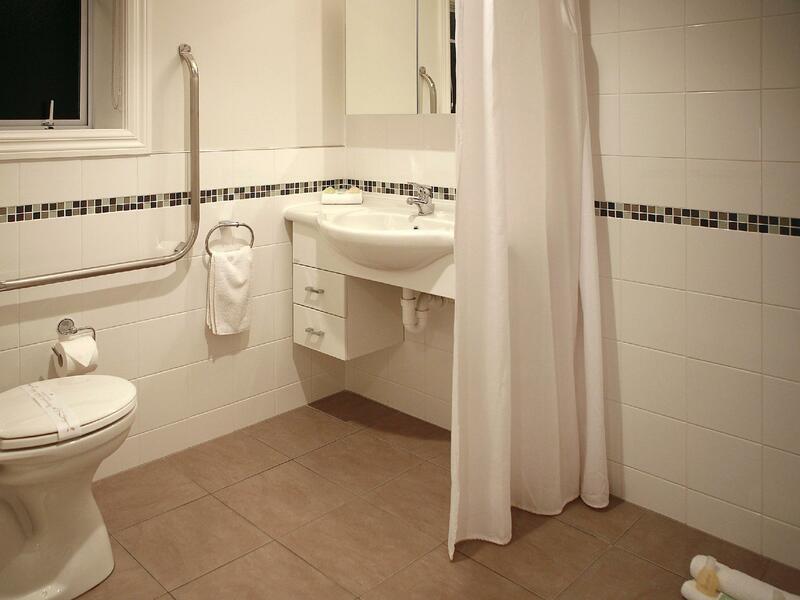 We had a 1 bedroom apartment and were amazed at the wonderful layout and modern fittings. Everything you could possibly want was provided. On top of that, the price was really good. Spacious.clean and comfortable. A lovely setting but handy to town and easy access to other routes. Donna and Gary were helpful without being intrusive. Oh and the chocolate factory's next door! 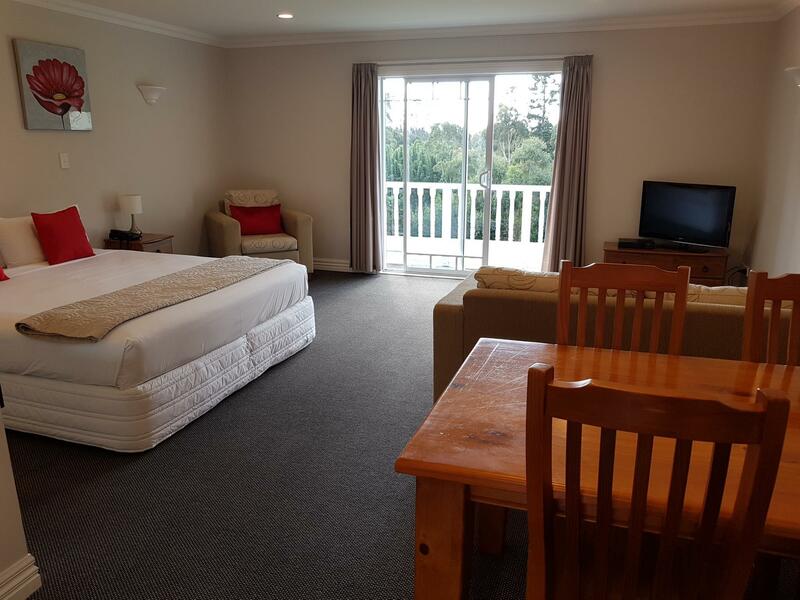 A very happy visit to kerikeri and the motel. Everything about this motel is excellent, from the helpful and pleasant Reception, large size of rooms, wide range of TV programs and quiet location. Lovely peaceful location, but near to shops, vineyards etc. Very clean, comfortable apartment and appreciated free newspaper each day..nice touch! 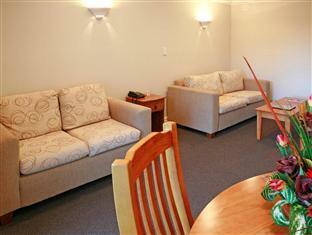 Clean and spacious room with good facilities. 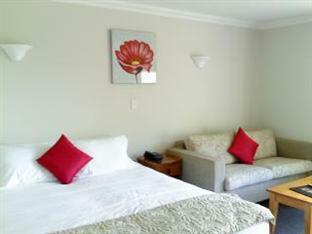 Our apartment was very spacious and well equipped, and the bed was extremely comfortable. We had the central room on the top floor, with a deep balcony with a peaceful view looking over the sweeping lawn to trees beyond. 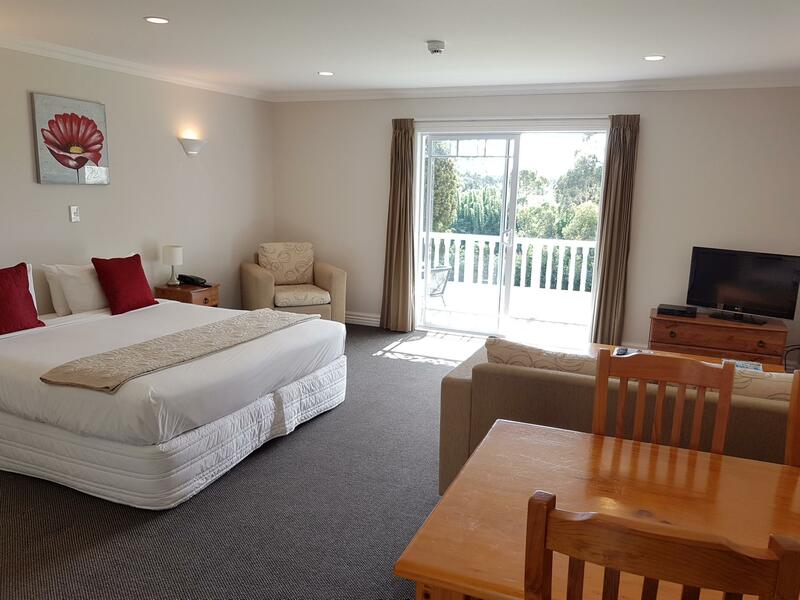 We were just across the road from the busy Saturday market, and a very short drive from Kerikeri itself, but the motel itself was very quiet - no traffic noise at all. Donna at reception was lovely, very helpful and cheerful. Nothing bad to say. WE didn't have any food so can't rate it, but this review does not allow me not to give a rating, which is unfortunate.